When Chloe steps out the door of her apartment on her way to work in the morning, her vehicle automatically unlocks its doors while the navigation system maps out the best route based on the latest weather and traffic conditions. Simultaneously, her home’s thermostat resets and her security system arms. 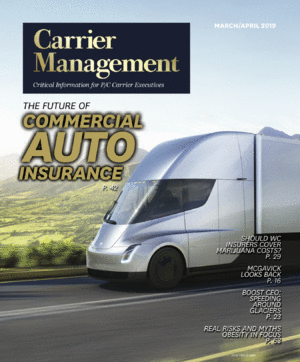 After describing a typical day in the life of a woman protected by connected devices and insurance, who comes to love the rewards and benefits of her coverage and related services, the authors reveal how Insurance IoT can bolster carrier bottom lines and review the layers of technology carriers will need to gather, analyze and act on the IoT data in real time. During her commute, Chloe decides to stop at a name-brand franchise for a cup of coffee. In a moment of weakness, Chloe—a diabetic—elects to consume a fresh-baked pastry along with her java. Fortunately, Chloe’s smart glucose monitoring system sends her an alert quantifying the size of the impending spike and she responds appropriately to avert any issues. At her destination, Chloe’s car locks and arms when she walks away from it. As she makes her way indoors, Chloe’s workspace is simultaneously adjusting to her established lighting, temperature and activity levels. During the morning hours, Chloe elects to override two of the standing periods she’s selected for her daily routine.